Assess the effectiveness of the links and content hierarchy, by measuring how people complete tasks using your designs. Optimise your link and content hierarchies by measuring how people complete tasks using your designs, and how long it takes them. 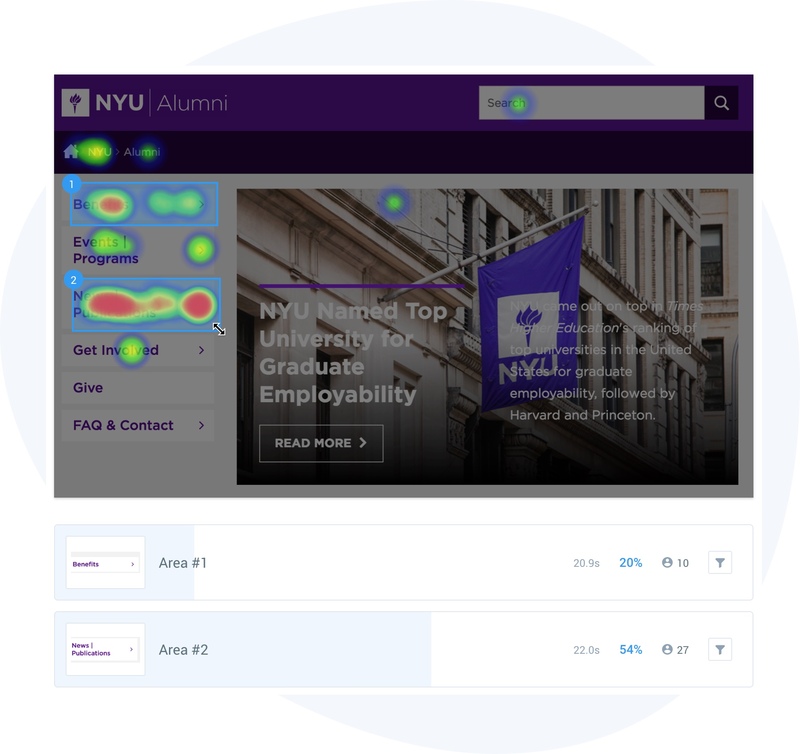 Create highlights to analyse click clusters in depth, including time-to-click. 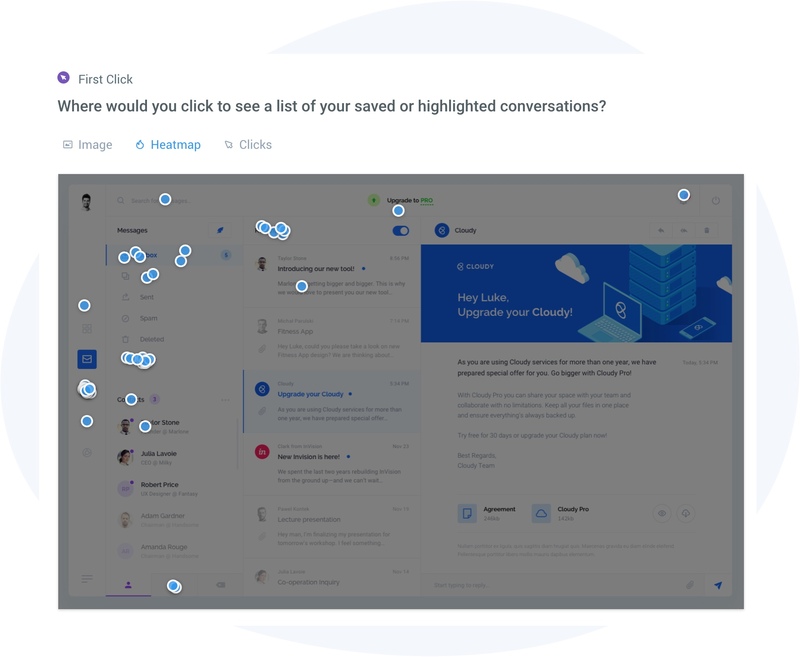 Filter to a cluster to analyse follow-up questions and find out why users were drawn to that area. 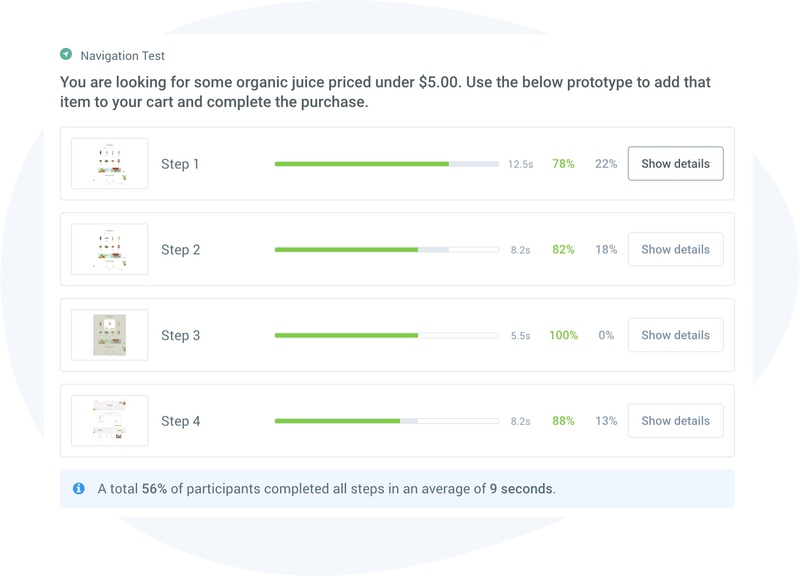 Use navigation tests and funnel visualisations to identify where users drop off most frequently, helping you avoid bottlenecks and frustrated users. Did you know that a user who clicks down the right path on their first click will complete their intended task successfully 87% of the time? Learn how to get the most out of first click testing with our introductory guide. How quickly can users find information on my website?